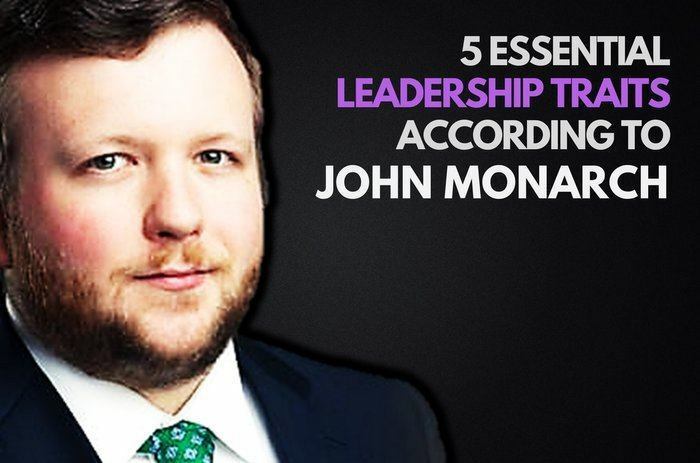 John Monarch is a renowned entrepreneur, adviser and speaker who has published numerous articles on business. He founded one of the fastest growing fulfilment firms in America. After graduating from Clemson University, John ventured into business with a clear set of goals. He wanted to introduce innovative solutions that benefit businesses of varying sizes. In school, he shifted focus to physics and computer sciences. This has enabled him to embrace the role of technology in building successful ventures. It comes as no surprise that John developed a keen interest in the rising phenomenon of cryptocurrencies and blockchain technology. His company, Direct Outbound supports e-commerce enterprises with innovative fulfilment and logistics services. As the Chief Executive Officer, he believes that his organization helps make client’s businesses bulletproof. This is achieved through a ground-breaking approach that simplifies and reduces costs of merchandise storage and order fulfillment. The service eliminates the need for online retailers to worry about warehousing and product shipping. E-commerce outfits can take advantage of an extensive selection of climate controlled storage facilities. This is coupled with same-day delivery for all orders received before closing time. The service makes it easier for online merchants to grow their businesses by ensuring customer satisfaction. Direct Outbound provides a surefire way for small to medium e-commerce businesses to compete against market leaders like Amazon. Many businesses rely on John’s expertise to formulate effective digital strategies. His experience goes beyond e-commerce and logistics. He has published numerous videos designed to help entrepreneurs make the most of the available resources and opportunities. John Monarch is also an expert in blockchain technology, which is transforming the way digital transactions are handled. His interest was inspired by the growth of the digital currency landscape. Bitcoin continues to prove critics wrong as it breaks new records in terms of value. At the beginning of 2017, Bitcoin was worth $1,000 before surging to $3,500 by mid September and $15,000 by December 7, 2017. This phenomenal growth demonstrates the power of the technology behind the cryptocurrency. This led John to develop ShipChain, a block-chain shipping and logistics platform aimed at adding more transparency to the shipping and logistics industry. John, along with his team of investors, will soon launch their initial coin offerings for their “Ship” tokens. He is based in Greenville, South Carolina where he spends his spare time with two awesome dogs called Baron and Hana. Through his time as CEO of Direct Outbound and now has the Founder of ShipChain, John has learned what it takes to be a good leader while working with a variety of people in a variety of other leadership positions. Developing a passion for a field or business is key to ensuring success. John demonstrates high levels of motivation and passion for his areas of expertise; including business development, e-commerce, business management, fulfilment, blockchain technology, and logistics. As a result, he finds it easier to remain committed and focused even when the chips are down. Starting a business in a field that one is passionate about enables entrepreneurs to work for many years without losing interest or focus. John believes that success is a by-product or function of determination and passion. These two traits keep business-people motivated throughout their careers and promotes successful outcomes. Adaptability enables businesspeople to respond to change in a manner that promotes strategic planning. John believes that high flexibility and adaptability translates to business success. Maintaining a flexible mindset has been shown to help individuals cope with any challenges that each day brings. Inflexibility causes rigidity in responding to market dynamics, including customer needs. Successful entrepreneurs are open to optimizing their operations in response to unexpected developments. Lack of adaptability makes individuals feel more anxious and insecure. Good team players and business leaders display high levels of flexibility. The ability to adapt is a vital quality that gives the business a competitive advantage. It is important as a leader to believe in yourself. If you have no self-belief you will lack belief in your team and their abilities, as well. John knows that believing in yourself and having strong convictions is key to motivating your team to success. It is also important to have a strong sense of courage. Leaders are often “built under fire”. John believes as a leader you must be courageous under fire and take risks, no matter how scary, that will ultimately benefit the company and yourself. The ability to network creates significant business opportunities. To succeed, entrepreneurs need good interpersonal and communication skills. This quality is one of John Monarch’s strong points, which has helped drive his company’s continued growth. He advises aspiring entrepreneurs to harness the power of networking. The approach makes it easier to build strong relationships with key personalities. The contacts can help promote, fund, or grow sales as a result of establishing a connection. Key decision makers can help bring substantial orders to the company, thus boosting the bottom line. John relies on his network of contacts to open new doors in the quest to expand the operations at Direct Outbound, as well as, to drive the mission of ShipChain. Planning plays a central role in ensuring operational success for businesses of varying sizes. For this reason, it is vital to plan operations considering various aspects of the business; including human resources, finance, market dynamics, marketing and more. Good business leaders make room for unexpected developments that might hamper daily operations. They anticipate events and provide practical solutions to minimize disruption or impact on the business. Failure to consider unexpected events exposes the organization to debilitating shocks. Those who are interested in learning more can connect or follow John Monarch on Twitter and LinkedIn. Readers can also check out his website, JohnMonarch.com. How many of these leadership traits do you agree with? Leave a comment below.